On December 22, 1859, the sheriff of Guilford County arrested Daniel Worth for circulating literature that denounced slavery. Born near Greensboro in 1795, Worth was likely educated in a school led by Levi Coffin, the reputed “conductor” of the Underground Railroad. Like many other Quakers in the region, Worth moved to the Midwest, settling in Indiana in 1823. In 1857, he returned to North Carolina as a missionary. He preached across the Piedmont, distributing antislavery materials at public gatherings. Newspapers denounced him and called for his arrest. He made the rounds in abolitionist circles, including a stop at Henry Ward Beecher’s church, where the famed minister, brother of Harriet Beecher Stowe, proclaimed himself unworthy to unfasten Worth’s shoes. 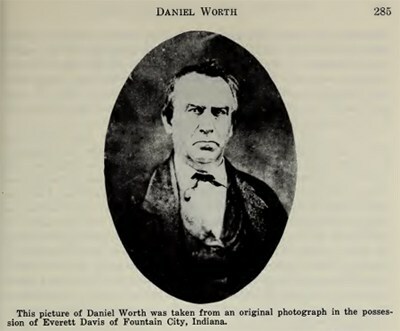 Worth soon returned to Indiana where he died in 1862.